Stop jumping from one online review site to the next. Easily manage your online reviews on over 20 popular online rating and review websites. Save time and the hassle involved with managing your online reviews across the internet. Get all the tools you need to build a great online reputation all in one software tool. Send solicitations via email and text messages to increase your online reviews. 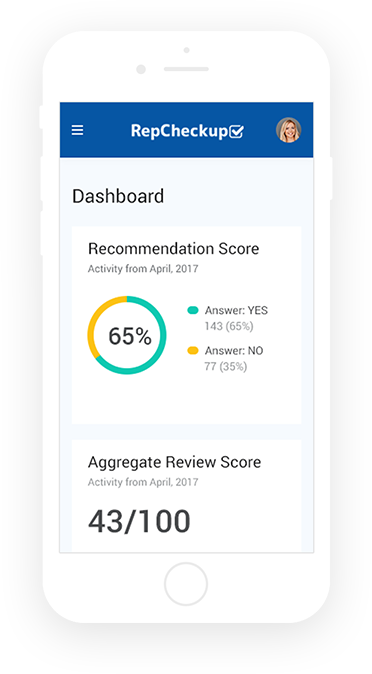 RepCheckup integrates seamlessly with your CRM, EHR or EMR to automate the sending of text messages and emails post-visit. 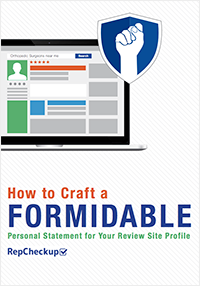 Prevent customers and patients from leaving negative reviews on your online profiles. Customers and patients who would not recommend you are directed to leave a private form with information only you receive. Never miss another rating or review left online by a patient. Continuous online review monitoring allows you to keep a pulse on your customer experience and what’s being said about your business online. Let customers or patients know their feedback, ratings, and reviews matter with a click of the button. Save time responding to online reviews with the review inbox that highlights new reviews that require your attention. Don’t have time to manage your online reviews? A RepCheckup consultant will assist in responding to reviews on your profiles on Facebook, Google, HealthGrades, Vitals, and more. 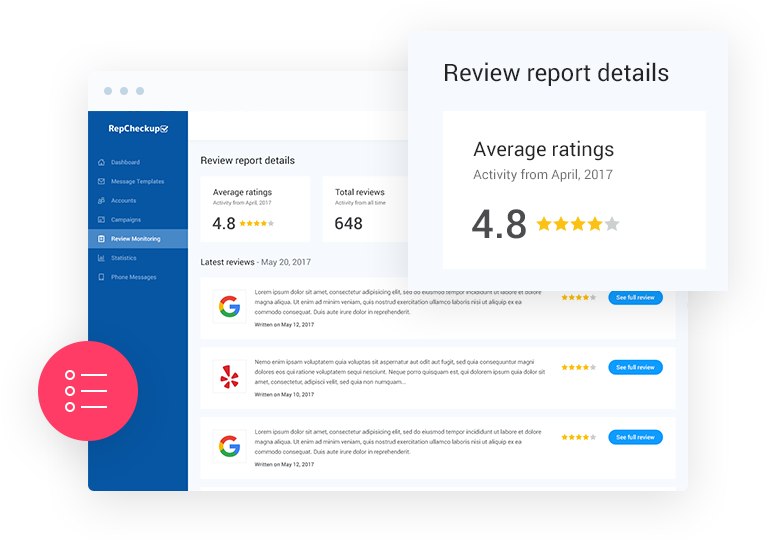 Online review management is important for every business because customers are exposed to your ratings and reviews long before they land on your website - or in your office or store. Given the impact online ratings and reviews have on a customer's decision-making process, businesses that want to ensure a steady flow of new customer must ensure that offline realities are reflected online. With proper management, your online reviews can become a powerful driver of new customers and better customer experiences. Yes! Responding to your online ratings and reviews left shows that you care about your customer or patient’s experience and feedback. After all, what does it say about your business if you don’t respond? Especially when the inevitable negative review is posted. Remember, responding to your online reviews is part of a successful online reputation management strategy. Why Should I Be Monitoring My Online Reviews? Do you like having people talk behind your back to spread rumors that may or may not be true? Or would you prefer to know that someone is just saying good things about your business? We’re going to guess that you’d choose the latter!Monitoring your online reviews allows you to know exactly what people are saying about your business while giving you the chance to voice your appreciation for their good comments or your concern over what they claimed in their negative comments.If you allow your reviews to go unchecked, it’s possible that your business could be hit with a slew of bad reviews about an easily fixable problem in your customer experience or targeted by a fake review campaign. Make sure you’re routing real customers to leave a review about their great experience while effectively managing the comments that aren’t so great. What Does an Online Review Manager Do? Think of an online reputation manager as your business’s personal guard dog. The job of a reputation manager isn’t to just claim your listings and take a look at your reviews. Instead, an online reputation manager will audit your business’s entire web presence to find areas where you can improve. Every effort is aimed at boosting your rankings and, ultimately, bringing more people through your doors.